They say, it takes 10,000 hours to become an expert at something... I cannot agree more. 175,000 hours later... these many hours together have brought many adventures, many dreams into reality which for us have become businesses, travels to far off places and two beautiful children. Together we are one. Relationships take passion, deep commitment, and a very open heart. Justin and I celebrated 20-years together in October, and it feels like yesterday. I cannot begin to share how proud we are, mostly of each other. Our story began in the vineyards, into the wine, and now shared at the dinner table. Together we firmly believe, either you let life happen before you or you believe in living it without hesitation or doubt. The foundation of who we are together is wine and farming. Winegrapes, winemaking -- this thing with the dirt, vineyards, climate and our family property of decades. It may sound strange to you but as children of farmers and winegrape growers ourselves today -- we live farming. It is what drives our hearts, our souls and our bodies to get up at dawn each morning and get our hands dirty. 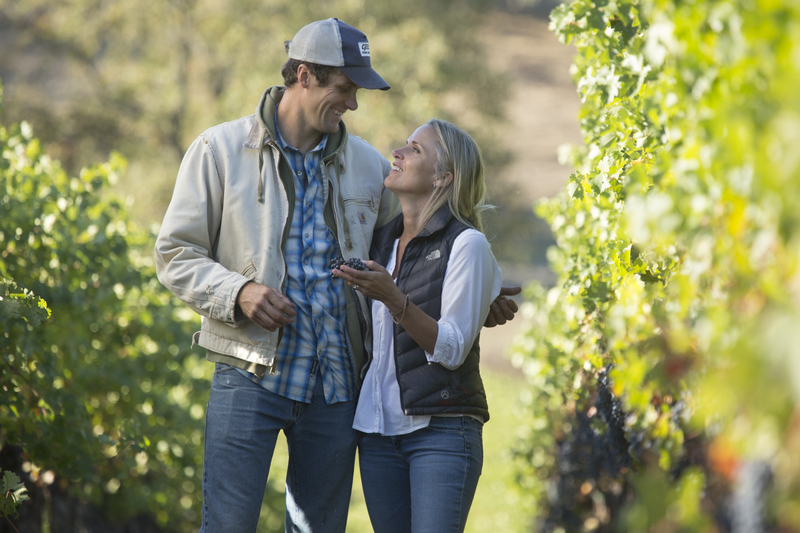 Justin and I have a deep connection-- as our love and passion for what we do today working the land while crafting wines with intrigue, great depths, refined excellence and balance... and ultimately distinction -- is incredibly satisfying. All that we do is a reflection of our place, our ideals and simply us. I will also say this man I committed to 20-years ago has also pushed me to a place of fearlessness. When we are not winegrowing, we are seeking adventure. We love the ocean, the power of the winds, the movement of the waves and thrill of riding them. We both became consumed by kitesurfing a few years ago. It's thrilling and a place you can go to be in the utter moment. I think this is crucially important in a relationship as well. Entirely consumed by each other in a way that simply makes you smile and whole. A love for the world and travel has been our personal mantra; to explore the depths of culture, beauty of place and simply being in another timezone. 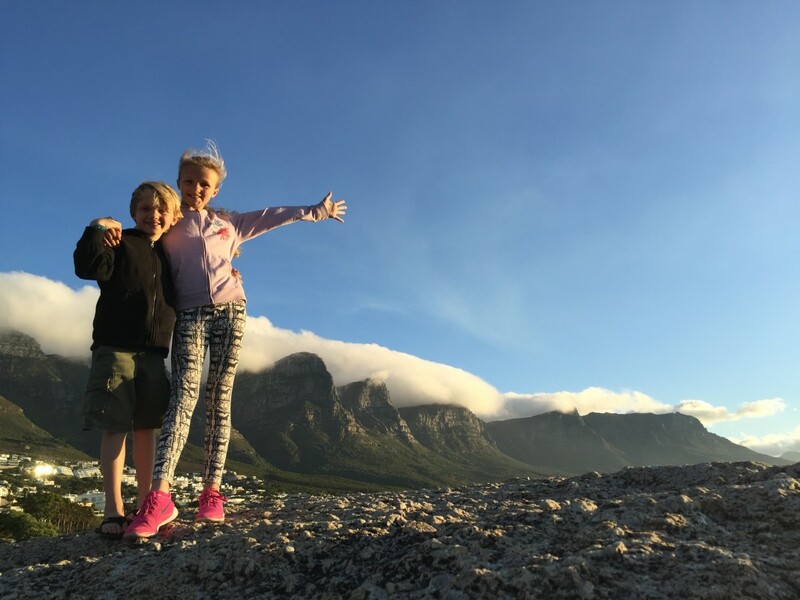 Our travel adventures have taken us to the Okavango Delta in Botswana then to Cape Town and Table Mountain, and the Stellenbosch and Robertson Valley wine region of the Cape Winelands in South Africa. I mention this one in particular as it was a life changing experience. We literally felt the beat of the beginning of time. A place we were not at the top of the food chain, but rather in the middle, if you will. We personally love the outdoors, hearing the roar of a lion in the distance and screeches of baboons put us simply in awe. The eight days we walked among the wild beasts we were in wonder in each moment. I have always felt utterly safe and grounded with my husband who is the wisest man I have met. We were at one of the furthest points on earth from our farm, and we felt utterly at home. We built our winery 18-years ago. This was big. For over a decade, even bigger -- we have been raising two wonderful, amazing children, Elsa and Leif -- who continue to swell our hearts each day. As they come into their own, inspired by their own interests; she a talented equestrian hunter jumper with her European mare Risque and he is dead set on becoming a small craft airplane pilot as soon as he can. Justin and I teach them to trust themselves, to enjoy this magical world and those you love. Most importantly, believe in yourself. As we celebrate our 20 years of matrimony, we also celebrate all we have accomplished in the short time we have been together. I can say short time of being together as we plan on another 40-years, without question. We will continue to celebrate, including the relationships we have created with you. Friendships and human connection are everything in life. We shared a bottle of 1998 Haut-Brion Grand Cru First Growth Bordeaux Red on our anniversary. It was exceptional. Exactly as we feel with each other, and our wines.